After many attempts at cross-breeding, the Absolute Cannabis Seeds’ team has achieved a vigorous autoflowering strain with abundant branching, which grows leafy buds as flowering progresses. 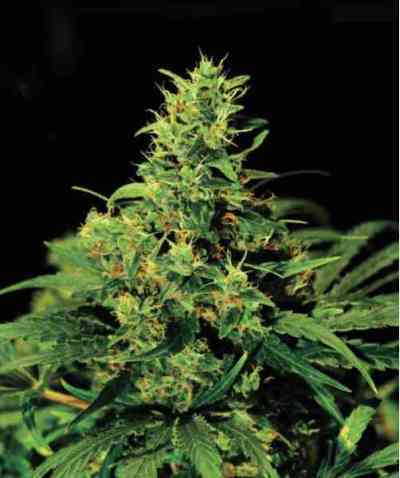 Its bushy shrubs, its copious production and its effect on the brain all make it an astonishing, amazing strain. That’s why we called it Amazing Auto. Both outdoor and indoor crops will grow colossally if they have enough hours of light, an adequate supply of nutrients and a generously sized container. Flowering ends 75 days after germination. In spite of being an autoflowering strain, it is a high yielder. In outdoor crops it is possible to grow up to 225 grams per plant, while indoor crops will yield between 500 and 600 grams per square metre. Its top-quality buds are abundant, resinous, and tight. It has a penetrating aroma and its intense, unique flavour is a combination of sweet sensations. Fruity touches will blow your senses thanks to the powerful pleasure they create in your mouth. Its stimulating effect will soon get you giggling.